Wild River State Park – Center City, MN – Outstanding location for birding; great diversity of species, over 200. Excellent for viewing – warblers, vireos, thrushes, flycatchers, and sparrows during migration. Red-shouldered Hawks and Barred Owls are widespread. 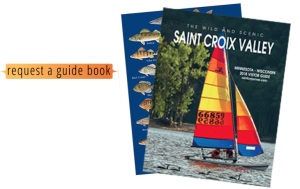 Located along 18 miles of the beautiful St. Croix River, the park offers camping, hiking, horseback riding, canoeing, interpretive programs, self-guided trails, cross-country skiing and snowshoeing.